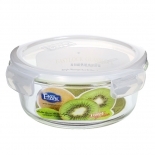 One of the most hot-sale product lines of Easylock is glass food container. 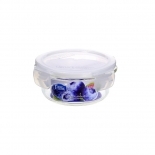 All glass food containers we produce are heat-resistant, leakproof and airtight. 1. Leakproof, Airtight and Watertight Guaranteed. 100% leakproof is the core competitiveness of Easylock products. The silicone sealing gasket on the lid help keeping airs outside and prevent juice from leaking out. 2. Safe in Diverse Kitchen Appliances. 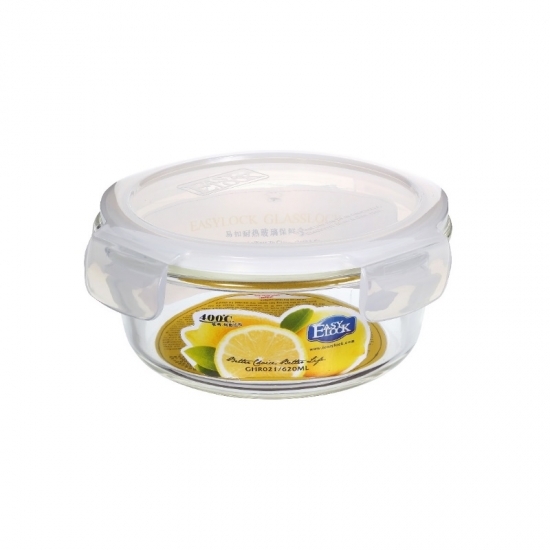 Glass food containers can put up with high temperatures up to 400℃. 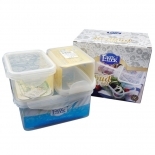 It is safe in oven and microwave without lid and also safe to be used in freezers with a temperature as low as -20℃. Dishwashing is available on top rack. Note: Temperature of bottom rack might harm your food containers, so remember to dishwasher glass food containers only on top-rack of glass food containers. With the lid on, you can stack the food containers up in closet, freezer or on countertop of your kitchen.